Another proof that you are on your way to your destiny when you are stuck on a detour is when God gives you a ministry to other people who are going through the same or similar things that you are. He gives you people to serve while you are suffering. Two of Pharaoh’s most trusted servants, his cupbearer and his baker, got in some hot water themselves. Since they were under the sentence of death, they were probably seen as part of an assassination plot to Pharaoh. Landing in jail, they came under Joseph’s care. Later on in the story we will discover that these two jailbirds hold the key to Joseph’s destiny. But before God would ever use that key to unlock anything in Joseph’s life, he first wanted Joseph to help these two men. 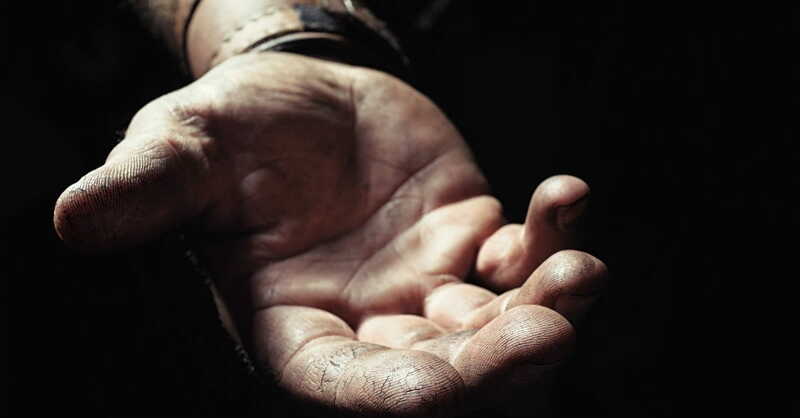 Joseph had to learn to look beyond his own misery and see how he could be used to help others before God would promote him to his ultimate kingdom assignment. The tendency when you are suffering is to be self-absorbed. It’s a normal tendency in all of us. If you hear about other people with problems, you don’t care to help them because you want to spend all of your emotional energy on nursing your own wounds. But the key to overcoming your own suffering is actually the opposite. You are to look for people going through a similar thing as yourself and find a way to minister to them while you wait on God to minister to you. Joseph, noticing their sad faces, ministered to them (Gen. 40:6–8). What many people do is get selfish in their suffering. But the righteous response to suffering is to help someone else. One of the ways God moves you through your detours is through your ministry. If you are unwilling to minister to someone else, you could be delaying your own destiny by increasing the length of your detour. Being self-centered may actually cause you to miss out on the blessing God has in store for you. else. We’ll see later on how Joseph’s being willing to interpret their dreams actually got him out of the prison. If you want to see God show up in your detour and take you to your destiny, look for other people to serve. You don’t have to be sophisticated about it; just use the gift God has given you when you see someone who may need it. God wants to use your detours to help others in theirs as well. Noah ministered while he waited for rain. Ruth ministered while she waited for God to change her situation. Rebecca drew water for a stranger’s camels while she waited for God to provide her with a mate. They all ministered in the midst of waiting—during the delay of their detour. Be careful not to miss your ministry because of your misery. God uses ministry to recharge your spiritual batteries while you wait. As 2 Corinthians tells us, God has a reason for the comfort, favor, and kindness He gives us in the middle of our troubles. It says, “He comforts us in all our affliction, so that we may be able to comfort those who are in any kind of affliction, through the comfort we ourselves receive from God. For as the sufferings of Christ overflow to us, so through Christ our comfort also overflows” (1:4–5). God not only desires for us to connect vertically with Him. He also wants to use us to connect horizontally with each other. It needs to be both ways to fully live out the greatest and second greatest commandments, which are to love God first and love others as ourselves. If you are in a detour, find a way to encourage someone else who is in the same or similar situation that you are in. You rarely find someone alone on a detour. Typically, there is a line of cars being rerouted and moving slowly. Excerpted from Detours: The Unpredictable Path to Your Destiny (January 2017). B&H Publishing Group. Used with Permission. 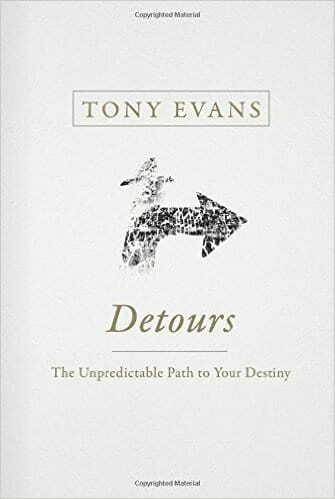 Dr. Tony Evans is founder and senior pastor of Oak Cliff Bible Fellowship in Dallas, founder and president of The Urban Alternative, former chaplain of the NFL’s Dallas Cowboys, and present chaplain of the NBA’s Dallas Mavericks. His radio broadcast, The Alternative with Dr. Tony Evans, can be heard on nearly 1,000 US radio outlets daily and in more than 130 countries. You can find him on Twitter, Instagram, and Facebook @drtonyevans or visit his website www.tonyevans.com.